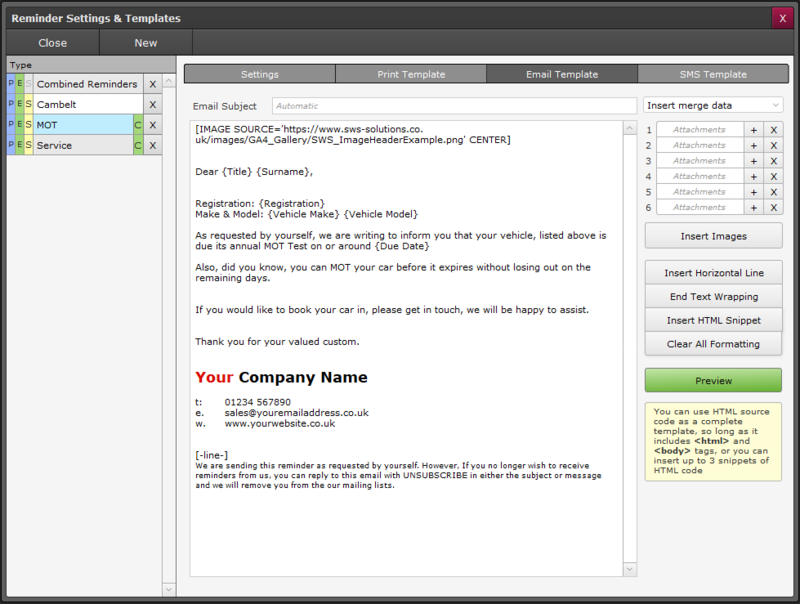 GA4 allows you to create email templates including inline images and styled text. The following are just a few examples of what can be done within GA4, with a bit of creativity you can make some eye-catching emails. When adding images inline (so they show within the email body itself) you can either use attachments or images from the web. Using an image from the web is similar, except you don't need an attachment. 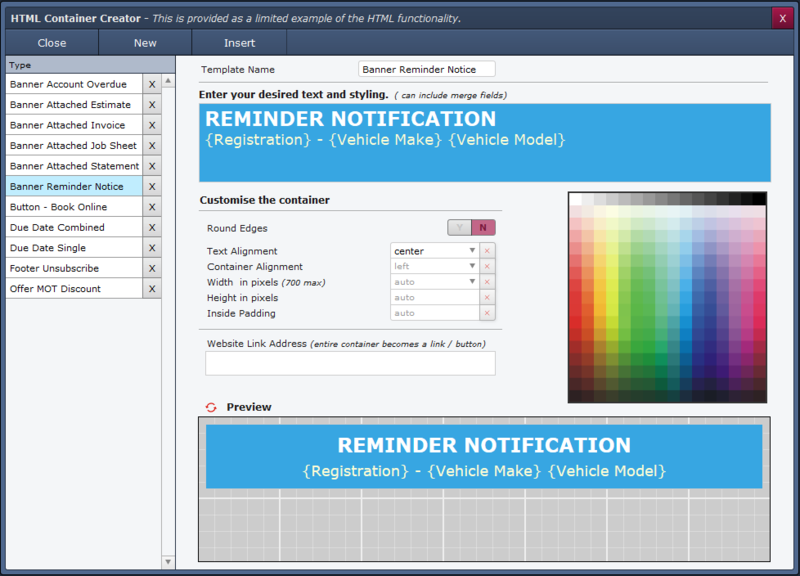 If you use an alignment option that includes text wrapping, you will also need to use the "End Text Wrapping" option after a selection of the content, to prevent additional text from wrapping when you don't want it to, choosing this option will insert [-clear-] in the selected location. If you would like to book your car in, please get in touch, we will be happy to assist. Thank you for your valued custom. We are sending this reminder as requested by yourself. However, If you no longer wish to receive reminders from us, you can reply to this email with UNSUBSCRIBE in either the subject or message and we will remove you from our mailing lists. We have also added the ability to mix and match content, allowing HTML code blocks/snippets to be combined with the rich text functionality and inline images. Up to 10 snippets of HTML can be used per template. As entered within GA4 by clicking "Insert"
As requested by yourself, we are writing to inform you that your vehicle is due its annual MOT Test soon. Of course, we don't expect you to know html, but the option is there should you need it. Copyright © 2019 SWS Solutions (UK) Ltd, All rights reserved. Copyright © 2003-2019 SWS Solutions (UK) Ltd, All rights reserved. Garage Assistant® GA1,GA2,GA3,GA4 and Software with Simplicity are either Trademarks or Registered Trademarks of SWS Solutions.